Quintillion, the Irish hedge fund administrator, is opening its London office on April 2. The company has already amassed over US$2.5 billion of assets under administration since launch last November. Quintillion’s London office will be headed by Jeff Sedgwick, who has over 20 years’ high level international fund administration, investment management and back office operations experience. Jeff joined the firm from Advent Software where he spent five years as an implementation manager and consultant, working closely with European hedge funds, fund administrators and prime brokers. Previously, Jeff was the operations director for investment manager London and Capital, where he was also responsible for their Isle of Man administration centre. With over 600 alternative investment management companies based in the city, the London office opening is an important business development milestone for Quintillion, giving it proximity to a significant number of clients and providing a hub for client technology support. Quintillion targets hedge funds in the UK, Europe, US and Asia with AUM in excess of U$S100 million. The firm offers a range of high quality outsourced administrative solutions designed to meet the risk management, compliance and regulatory needs of the evolving alternative investment market. “Launching a London office is an important strategic step for us and we are delighted to have attracted someone of Jeff’s calibre to head our UK operations,” comments Quintillion CEO, Joan Kehoe. 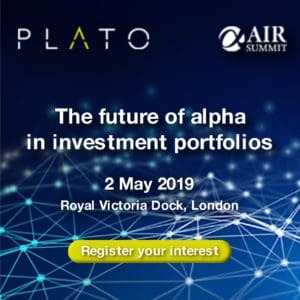 “The wider range of investors now entering the hedge fund market has resulted in an increased demand for more varied investment strategies and vehicles. Quintillion has been purpose built with this evolution in mind. 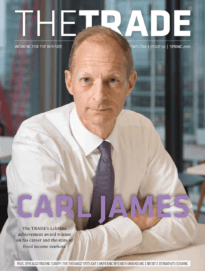 Our technology-led products and services allow fund managers the flexibility to pursue a range of investment opportunities within a transparent, compliant and increasingly regulated framework, which we believe delivers benefits to funds and investors alike,” he adds.